Welcome to the specimen seashell section. I have always been involved closely with the ocean. My father was a fisherman, I have owned dive shops for over 30 years, worked as an offshore commercial diver, sport dive instructor, offshore saturation systems technician, technician supervisor, equipment manager and project manager for deep diving systems. As I got older and planned semi-retirement, I didn’t want to give up my association with the ocean. Throughout my diving career of over 35 years and always found seashells very interesting. I have only collected about 15 shells in that time as I believed it to be not environmentally responsible. I was looking for a semi-retirement plan and the opportunity to apply for a specimen seashell permit arose. It was a tough decision considering environmental responsibility and sustainability of species collected, if I was to in fact apply. I looked closer at other current managed fisheries, which take huge numbers of fish to supply the world with seafood. This type of fishing and others similar are regarded by society as totally responsible because people love to eat seafood and is a great income for the country when correctly managed. I do find this is a little out of step with my view as I don’t eat anything from the ocean, so I do find it hard to understand taking from the ocean for something we do not actually need to eat. As most people are happy with the strict managed fisheries in Australia, I found it reasonable to go with the majority view of our democratic country and decided to apply for a permit. This would be the only specimen seashell license in South Australia, so overfishing seemed impossible. 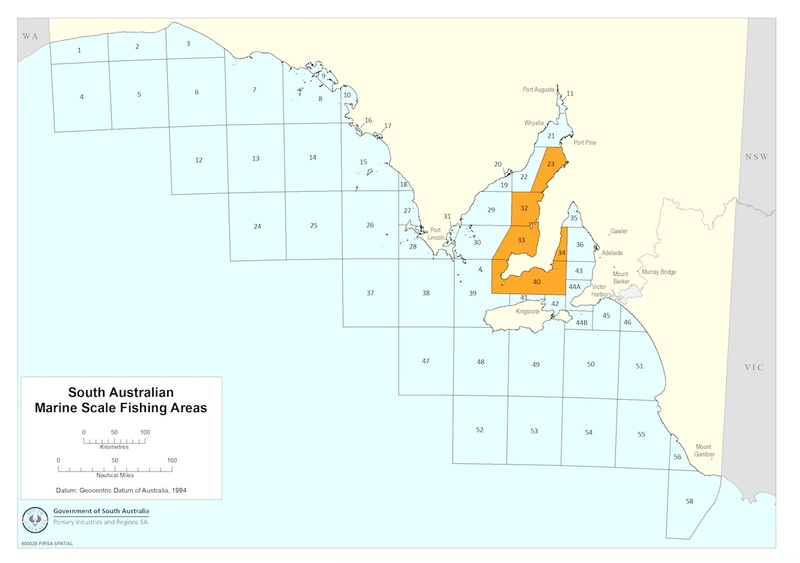 If I worked the license another 20 years I would be lucky to ever see 5% of the ocean floor in South Australia. The weather would only allow me to fish a small number of days a year. Specimen seashells are usually well camouflaged so many would not even be seen while searching. With specimen seashells, only the best shells have value so I would expect to only take about one quality shell out of thirty or more seen. Seashells with damage, the wrong markings or colouring, juvenile and so forth have no or little value to collectors. Most of these would be identified on the ocean bottom but if one was brought to the surface and found not suitable it would be returned to the ocean immediately. South Australia also has many sanctuary zones protecting many seashell populations and marine parks ensuring minimal impact on species. There are many different species listed in my license conditions making for a low impact on any one species. As I will use my ROV, there will be zero by-catch or damage to the marine environment while searching. My permit conditions are extremely conservative ensuring no overfishing is possible. The full permit conditions are posted below for you to look at. At this point I thought a fully managed specimen seashell license might be ok especially with the input of the Department of Environment & Planning, Conservation Council, Malacological Society, the SA Museum, PIRSA, Fisheries Dept, native title permission, public comment and other expert consultants. The following describes my operation. 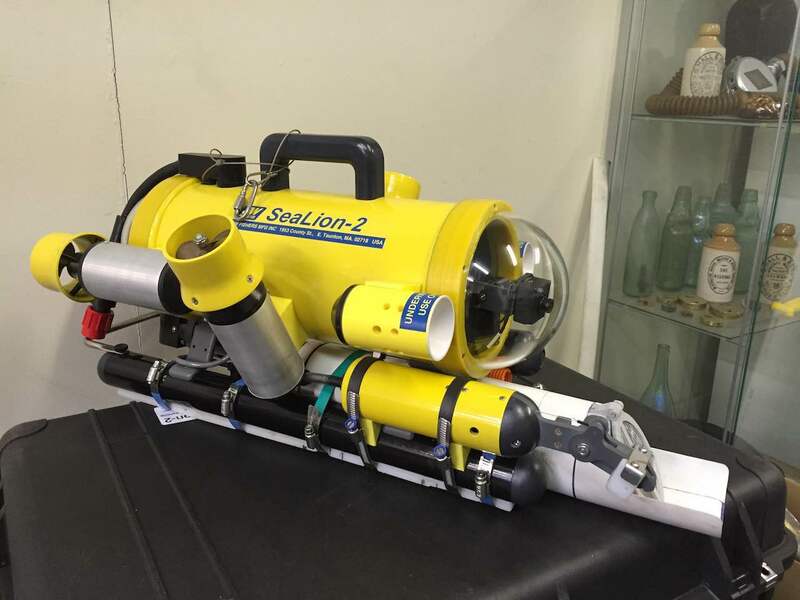 Remotely Operated Vehicle (ROV) 300 meter depth rated. Most seashell collection will be done with a Remotely Operated Vehicle (ROV) allowing individual seashell collection down to a depth of 300 meters. This means that my search area is not restricted to where sports divers collect seashells. My ultimate plan for this business is to explore and research South Australia’s deeper water (below 40 meters). It would be very difficult to obtain funding for this kind of research, so the seashell permit income would pay some these costs, with the remainder being self-funded. I have other income in my semi-retirement, so am under no pressure to overfish seashells. It is my aim to work with other people doing ocean research and share information with the scientific community. I would be pleased to hear from anyone interested in deeper water research in South Australia. I can be contacted through this web site. Any seashells my company has for sale on this website will show the fisherman’s license number, processors license number, export exemption details, where the shell was caught, identification photo and data base number along with other description information. All of these details will be logged on a database, of which the S.A. Fisheries Department will have full access to. It is my aim to ensure any seashell sold by my company has been collected under strict environmental management before being offered for sale. After reading my company plan above, I hope you can purchase seashells with full confidence that we are doing everything to protect specimen seashell resources into the future. You will note how environmentally conservative my conditions are, possibly the strictest in the world. In South Australia sports divers have no collection limit other than 1 x Zoila thersites (Black Cowrie) per day per diver. Click link below to download my permit conditions.